This year, make a winter wreath that would be fun for the kids and for around the house. Unlike Christmas wreath, you can hang it around a bit longer. This is an easy DIY! 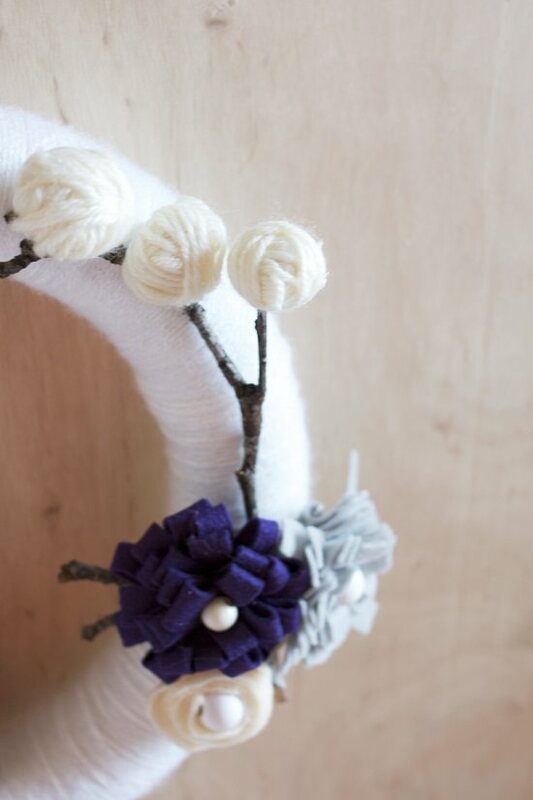 Wrap your foam wreath with the yarn until it is completely covered. Using your felt, you can create as many fun flowers as you would like. Here is a fun and easy tutorial. We put white wooden balls in the center of the flowers, but you can leave them plain if you would prefer. Hot glue your flowers where you would like and arrange them how you please. This is the fun part! 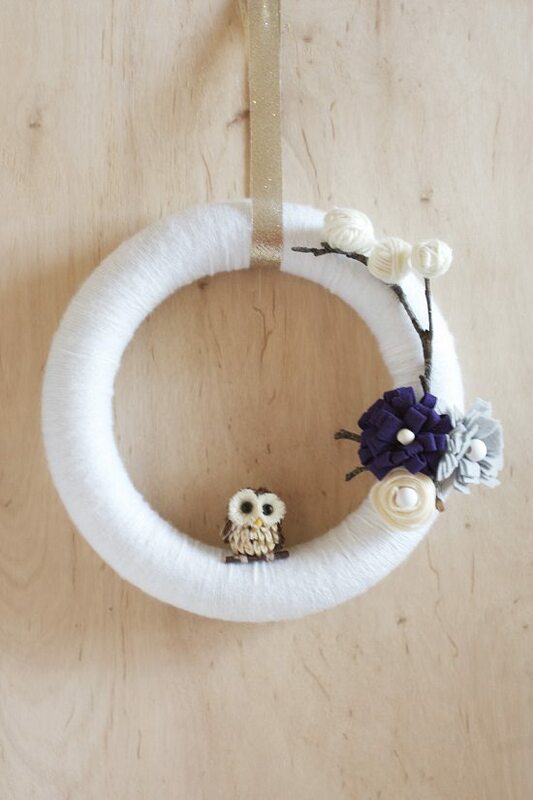 If you decide you like the woodsy look, hot glue a little twig and owl (or any other woodland animal) on your wreath to add a fun and different element. We thought this would be great for the kids – they love owls! You’ll love the end result. It is simple and clean, just what makes it so lovely. 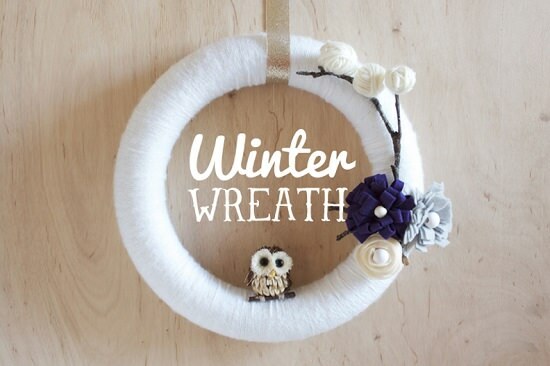 Have you made any wreaths this winter? © 2019 - Hello Lidy. All Rights Reserved.